Beverly's Official Blog | News and findings from world of crafts, scrapbooking and more: The Angry Birds Have Joined the Dark Side...Will You? The Angry Birds Have Joined the Dark Side...Will You? Combining two of the most popular franchises of all time, the Angry Birds Star Wars collection from Camelot Fabrics is a colorful, fun and completely awesome line of materials! Throughout the line, everyone's favorite Angry Birds join either the Dark Side or become Jedi; battling with light sabers, recreating classic scenes from the original Star Wars films, and placed against beautifully vibrant backdrops. We think this collection is perfect for devoted fans of either franchise...especially the little ones! Use these materials for interior decor accents, bedding, novelty apparel and so much more. 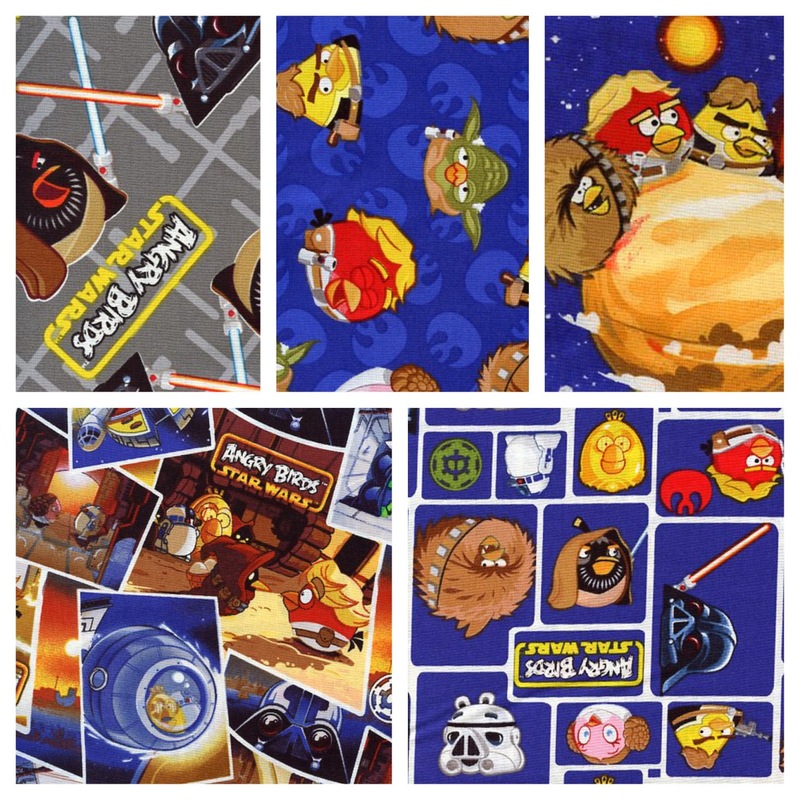 Click here to take a closer look at Angry Birds Star Wars, then add some yardage to your cart! Feel free to share any of your future projects with us on our Facebook wall -- we just love to see the creativity of our customers in action.